For better or for worse, we live in a time of history-making moments, especially in the Middle East. 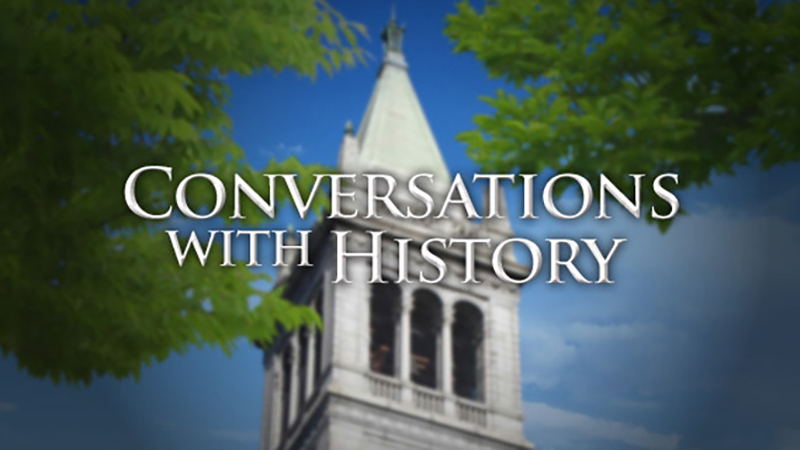 Our long-running UC Berkeley series “Conversations with History” has been recording the voices of those making and uncovering history for more than 500 episodes and the latest installment, “Libya in a Time of Revolution,” is no exception. Host Harry Kreisler welcomes war correspondent Lindsey Hilsum, who offers her first-person account of the revolution in Libya that toppled the dictator Colonel Muammar Gaddafi. In this fascinating interview, Hilsum, who chronicles her adventure in the book Sandstorm, discusses Gaddafi’s 40-year reign of terror and his role as an international actor. She then traces the factors that led to his fall, emphasizing Libyan nationalism, the Arab spring and the intervention of external powers, and analyzes the role of journalists in the continuing worldwide struggle for human dignity. Hilsum concludes with a discussion of what she learned from her experiences in the country and speculates on Libya’s future and how external intervention can bring about change in places like Syria. Watch Conversations with History: Libya in the Time of Revolution with Lindsey Hilsum. From information gathered in the 80’s,in sources close to the consulate and at the Libyan Embassy in Italy, the reconstruction of unpublished events happened in Libya before entry into the war of Benito Mussolini.